Having been developed hundreds of years from a country that is located smack-dab in the middle of the Old World, Persian cuisine is a literal melting pot of hearty meats, grains and vegetables, made with a savory blend of aromatic herbs and spices from all over the Levantine region. 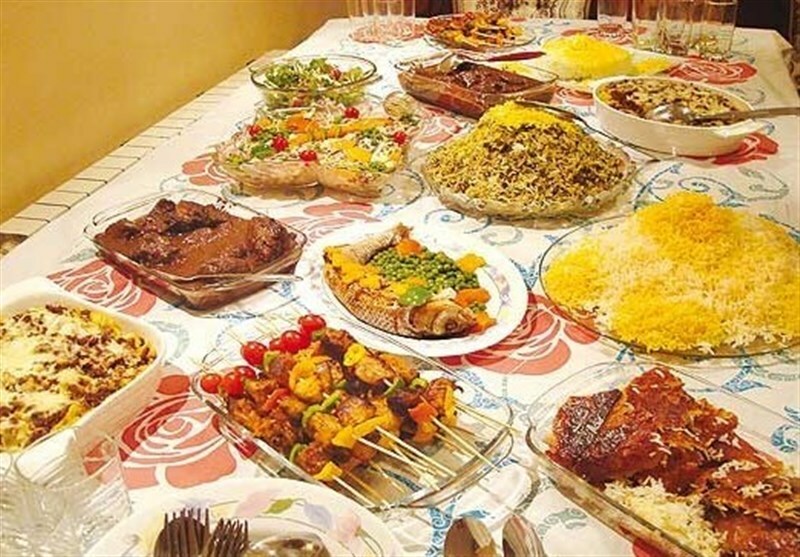 With unique influences from Greek, Turkish, Central Asian and even Russian dishes, Persian cuisine is diverse and colourful as it is delicious. With such multicultural roots, it’s very little wonder that it finds a special place in Toronto’s culinary landscape. Here are five top Persian restaurants in Toronto. Pomegranate – 418 College St. Located near downtown’s Little Italy, the first thing one might notice about the Pomegranate Restaurant is its striking, yet cozy décor. Neatly adorned with intricately coloured rugs, fabrics and tiles that are unique to the Persian region, you would sooner think you were stepping into someone’s home than going into a restaurant. The only thing that is more authentic than Pomegranate’s design is possibly its food, which consists of a large variety of meat stews, rice platters and vegetarian entrées. Be sure to try the restaurant’s polo dishes – fragrant jasmine rice interlaced with the sweetness of dried fruits and nuts, served on its own or with a tender mouth-watering lamb shank. Despite its popularity, the restaurant only seats a maximum of 40 people, so be sure to call ahead for reservations! Setting up shop in the perpetually diverse Queen West neighbourhood, Banu isn’t your typical Persian restaurant. Instead of the hanging fabrics and cozy interiors that many of its counterparts use, Banu goes for the retro-modern style that characterized Tehran’s clubs in the 1970s. Complete with bright, contrasting colours highlighted by the psychedelic glow of low intensity lighting, Banu is a nostalgic love letter to a time when food, drink and song were celebrated freely and passionately. 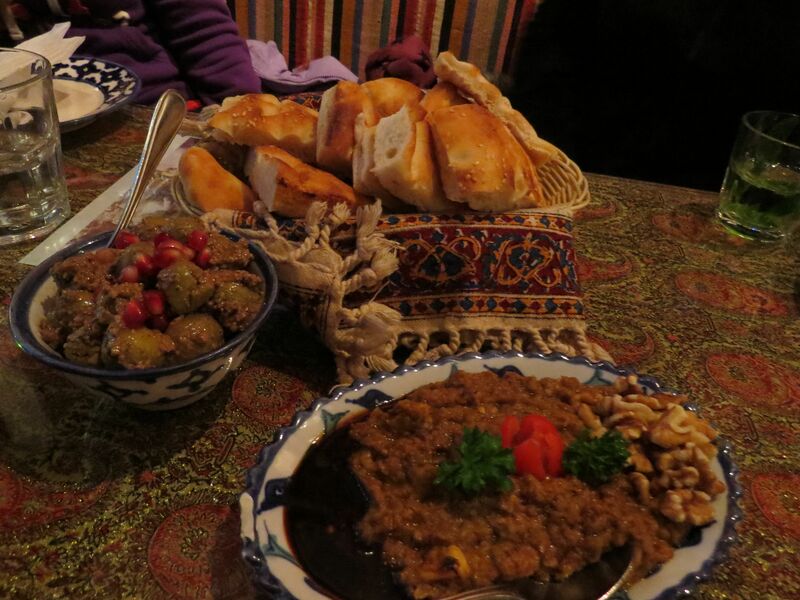 Despite being a drink lounge, Banu also has an impressive menu that boasts a variety of Persian bar foods. 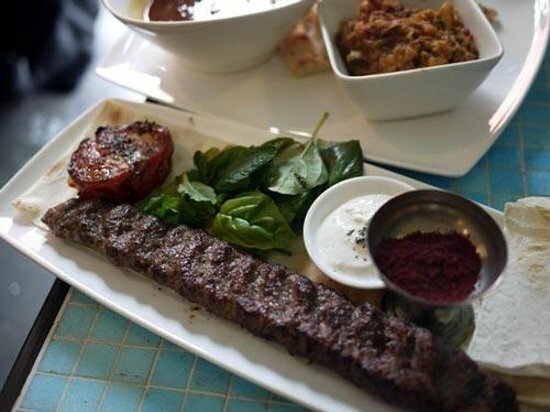 The centrepiece of Banu’s menu is perhaps its kabobs which are skewered with sizzling sirloin, beef ribs and chicken wings; and for the more adventurous types – rarer treats such as cow hearts and lamb testicles. Sheherzade – 422 College St. Owned and operated by the same people behind Pomegranate, Sheherzade is literally located next door to the former. 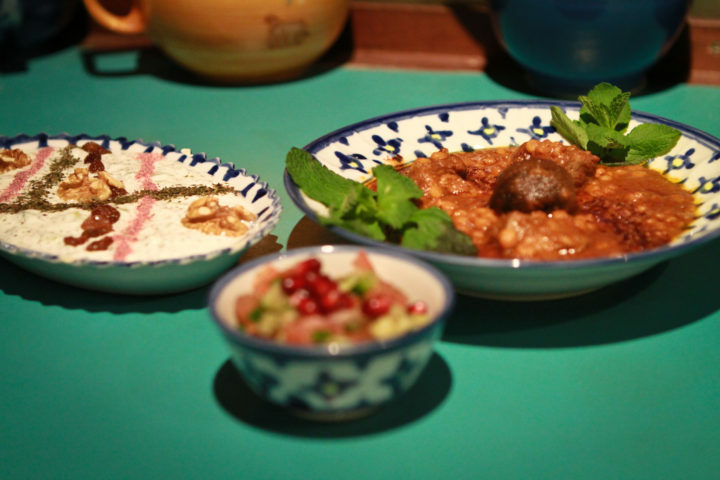 Whereas Pomegranate echoes the home-style comfort food of Persian cuisine, Sheherzade is more evocative of the casual street food from Iran’s bazaars. 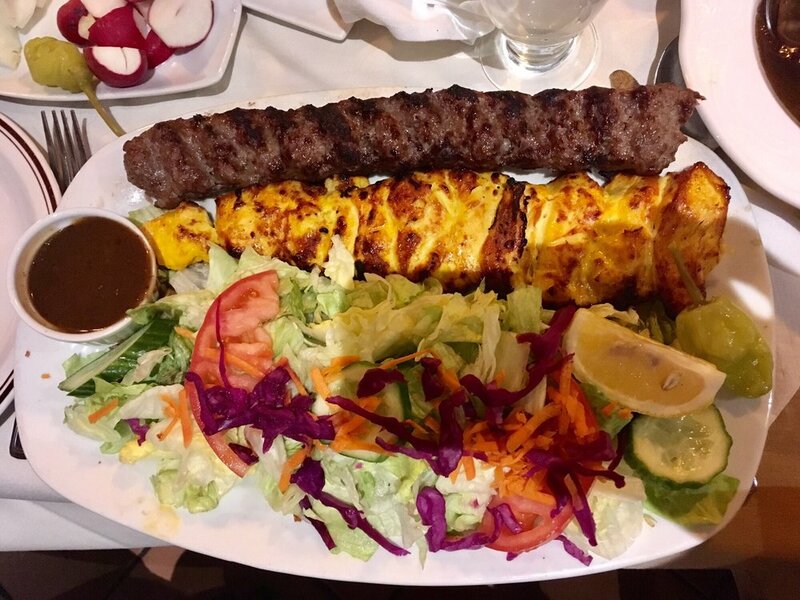 The restaurant is perhaps most famous for its signature grilled kabobs – large skewers of juicy, crackling pieces of chicken, beef and lamb served fresh from the grill. Vegetarians need not worry, since the restaurant also serves up adasi bushehri – a rich, vegetable stew made of red lentils, onions, garlic and tomatoes, drizzled with a tantalizingly sweet pomegranate sauce. Zaffron – 6200 Yonge St.
Zaffron’s décor seems more fitting for an Italian family restaurant, with stucco walls, rustic patterns and tiled floors; however, its food selections are authentically Persian. To be fair, the restaurant does have a few Italian influences, namely its wood oven pizzas and its impressive selection of Italian wines, but otherwise, Zaffron hosts a broad array of traditional entrées such as fesenjoon – a thick and hearty stew of chicken, walnuts and pomegranate juice served with basmati rice, and mirza ghasemi – a rich medley of grilled eggplant, eggs, garlic and tomato. For those who are particularly daring, drop in on the weekend and try the kalle pache – traditional sheep’s head stew served with flatbread! Tabriz Persian Cookhouse – 995 Bay St. The Tabriz Persian Cookhouse fits nicely in the Yonge and Wellesley neighborhood with its bright, modern interior that is decorated with woody colours, high windows and a slight corporate flair. Together with free wi-fi and an outdoor patio, it’s the perfect place for a quick coffee or a power lunch. While Tabriz’s menu doesn’t have the comfort food feel like the others on this list, Tabriz makes up for it with a solid presentation in all of its dishes. 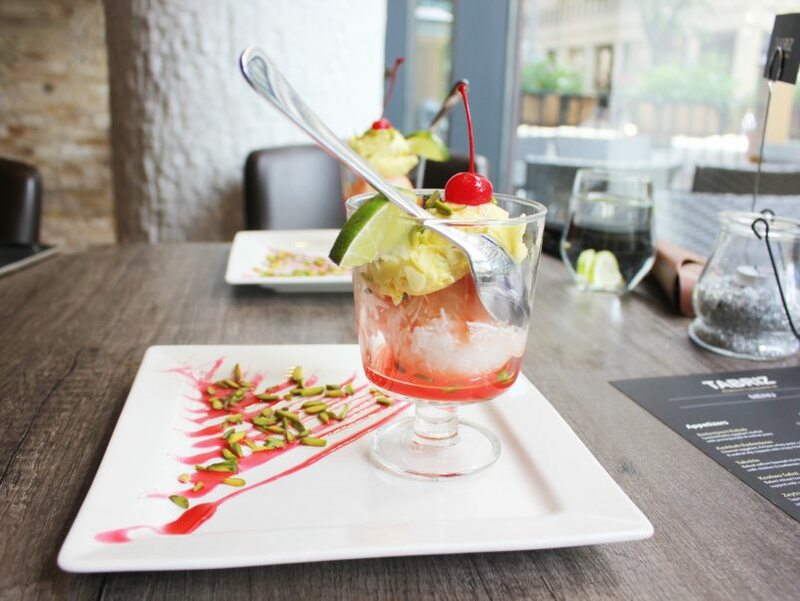 This is especially true with the restaurant’s desserts, such as the faloodeh – an icy treat made with sweet vermicelli, rose water and fruit juice, and Persian ice cream served in saffron and pistachio flavours.